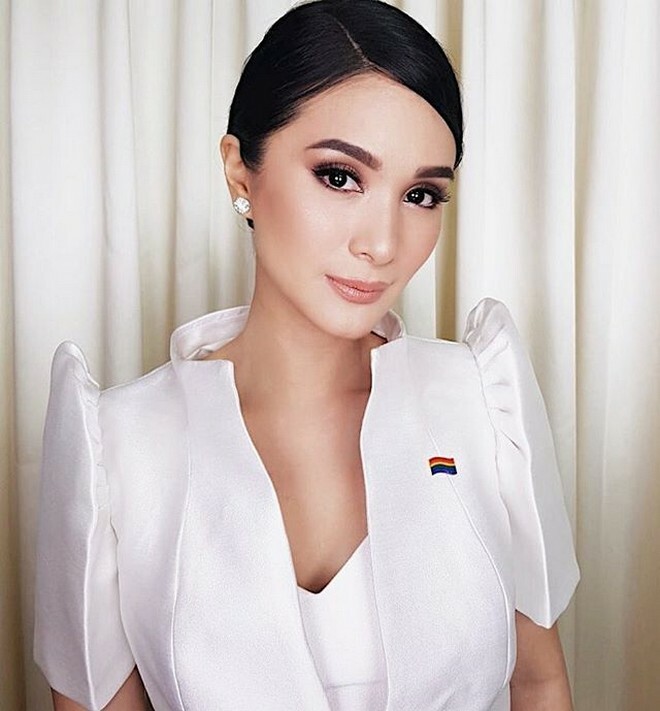 Heart Evangelista and Jinkee Pacquiao were major head turners at the third State of the Nation Address of President Duterte. 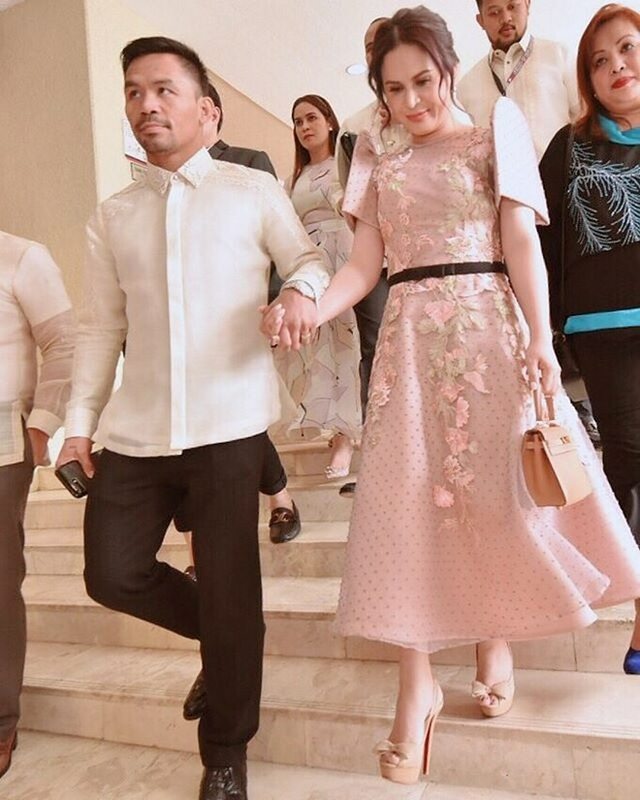 Heart and Jinkee accompanied their husbands Chiz Escudero and Manny Pacquiao respectively. 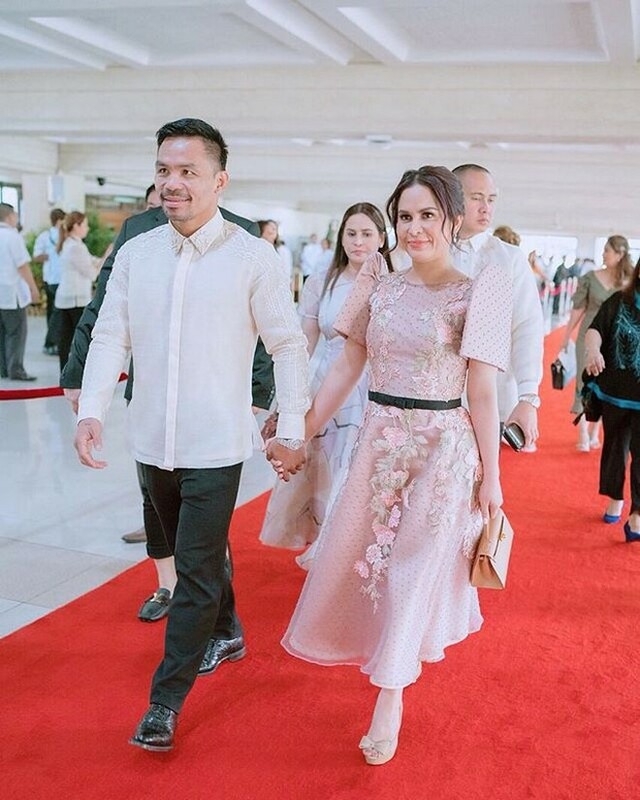 Jinkee wore a Michael Leyva gown while Heart wore a Mark Bumgarner attire for the occasion.